"We have to make games in a way that they aren't misunderstood." 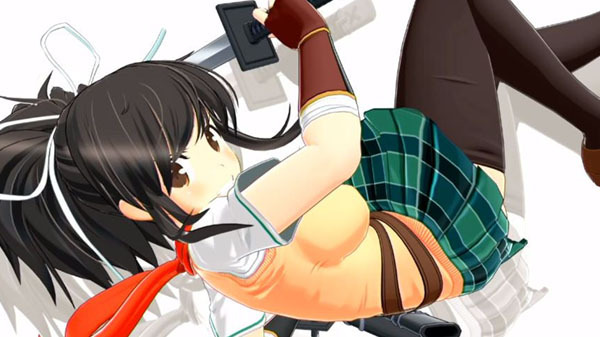 Senran Kagura series producer Kenichiro Takaki briefly touched upon the status of the upcoming Senran Kagura 7EVEN during an in interview with Akiba Souken. Takaki’s comments regarding stronger regulations against sexual depiction are likely in reference to Sony Interactive Entertainment, whose recent regulations resulted in the “Intimacy Mode” from Senran Kagura Burst Re:Newal being removed from the PlayStation 4 version in the west. Said regulations have also been inconsistent. While games like Nora to Oujo to Noraneko Heart, Nekopara Vol. 1, and Yuuna and the Haunted Hot Springs: Steam Dungeon have been edited to include white lights or more fog, games like the recently released Hana Saki Work Spring! and Hatsujou Sprinkle, and the upcoming PlayStation 4 versions of Sengoku Hime 7: Senun Tsuranuku Guren no Ishi and Daitoshokan no Hitsujikai: Library Party appear to remain unedited. Sony has yet to publicly speak on the regulations, so its specifics are unknown. Senran Kagura 7EVEN is planned for release on PlayStation 4.